When it’s time to hit the road to your favorite RV Rally, you really want to have a plan when it comes to feeding all the friends you will meet there. 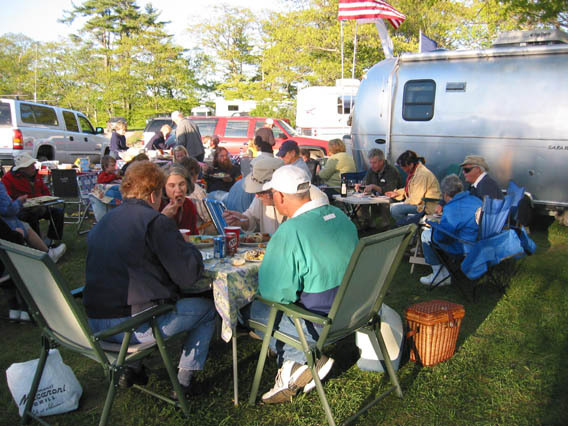 Having a potluck is a great way to meet fellow RV’ers. But what are the recipes for the surefire crowd pleasers? And don’t forget they have to be easy to make in your RV with a little bit more limited resources than your kitchen at home. Here are a few of our favorites that are sure to dazzle any hungry crowd you come across. When you cook, they will come! 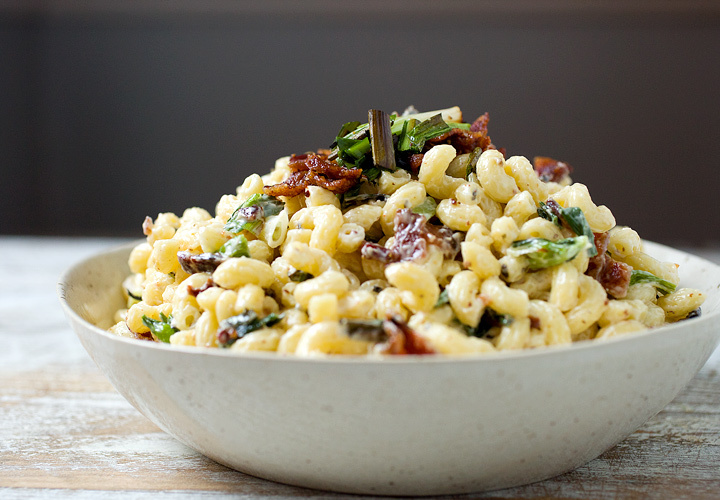 Charred Scallion and Bacon Macaroni Salad-Who doesn’t love a good macaroni salad and who doesn’t love bacon? With nutty charred green onions, bacon and a slightly spicy and creamy dressing, you will be the hit of the potluck. And don’t worry, you won’t miss out on the fun. Find this simple recipe here. The crowds will come running to this macaroni salad. 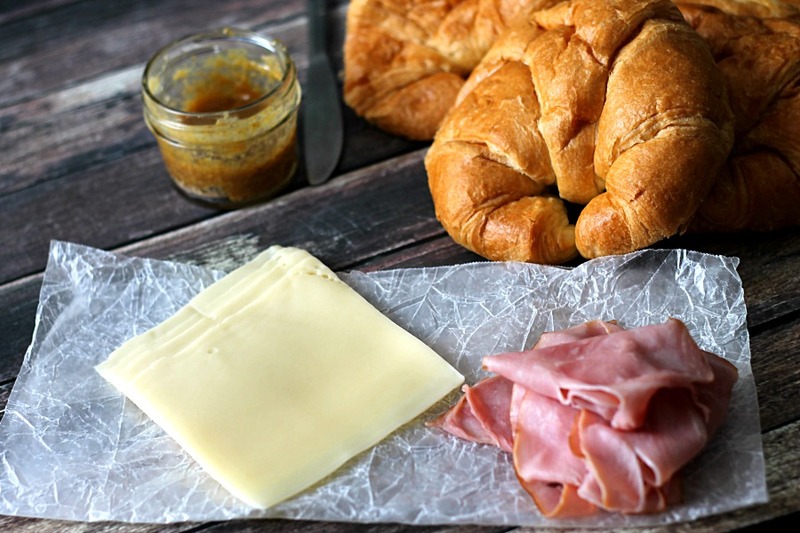 Hot Ham and Swiss in Foil Packets-These are great to make before you even leave home. Make a whole cooler full and share with your friends! Heat them up next to the campfire and you have a yummy, warm sandwich with homemade honey mustard sauce. Just watch them disappear! Find out more about this recipe here. Hot ham and cheese for the win! Pull-Apart Cheesy Garlic Bread-What a way to make a simple loaf of crusty bread fabulous. Just three ingredients: crusty bread, cheese and garlic butter. Throw it all together and warm it up over the campfire. It’s so good, you should probably make two or three! Find the recipe here. 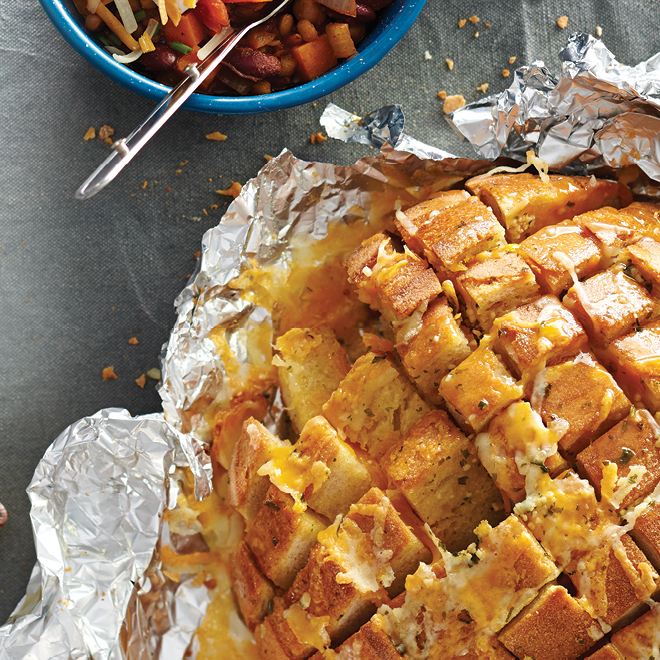 Pull apart the gooey deliciousness. Although cooking away from your kitchen at home can be a challenge, if you choose simple, filling recipes, you will enjoy your meals as much as the ones you make at home. Looking for a camper with a great kitchen? Be sure to stop by and visit us at Campbell RV to find your perfect camper with a dream kitchen. Contact us today for more information!